At Fairways Golf, we are committed to providing a fantastic and friendly environment that provides rewarding career opportunities for all of our staff members. Our team consists of a wide array of talented, self-motivated, service-oriented individuals with a passion for the golf industry as a whole. Today, we are Ohio’s fastest growing golf management company and we are preparing for the growth of our company by seeking new team members who are enthusiastic, hard-working and are driven to succeed. Team atmosphere and the ability to learn from other highly experienced staff members. Competitive compensation, free greens fees at all of our facilities and a wide range of experiences across all of our operations. Opportunities to earn college credit and advance your position. Currently, there are no job openings at Briarwood Golf Club. To learn about future job openings, please click here to subscribe for updates. Assisting the superintendent as needed. Grass cutting of tee boxes, fairways, greens and rough. Trimming course edge lines, water features, etc. General course upkeep and more. Assisting the Director of Golf as needed. Management of tee times and groups. Cleaning and refueling returned golf carts. Upkeep of the area around the clubhouse. To apply, please fill out the form on this page or stop in the Pro Shop to pick-up an application. Currently, there are no job openings at Fairways Golf Management. There are currently no job openings at Greene Square Restaurant. Assisting the Director of Golf and Assistant Director of Golf as needed. Checking in and processing customers. Managing, reserving and modifying tee times. Organize the pro shop in a neat manner. Provide customer solutions as needed. 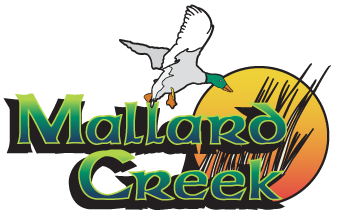 Enforce the policies of Mallard Creek and ensure safety of all customers. Managing the snack bar or beverage cart during your shift. Preparing the snack bar for the next shift or the next day. Assisting with the open or close of the clubouse. General upkeep of the clubhouse. Helping to keep the pace of play steady and optimal. Golf outing setup and breakdown. Not spending any time looking for golf balls. Enforce the policies of Pine Brook and ensure safety of all customers. Visit our Instagram and follow us for great course pictures and updates.